Looking at it invading wasteland, we could believe ourselves in presence of an introduced plant, yet the Common milkweed is native. It is rather the work of man that favors its development in those places, although it's present in the forest. This is an undemanding plant that grows very well in poor soil, where it has little competition. In addition to its beautiful flowers and the singularity of its fruit, the plant is edible when cooked. 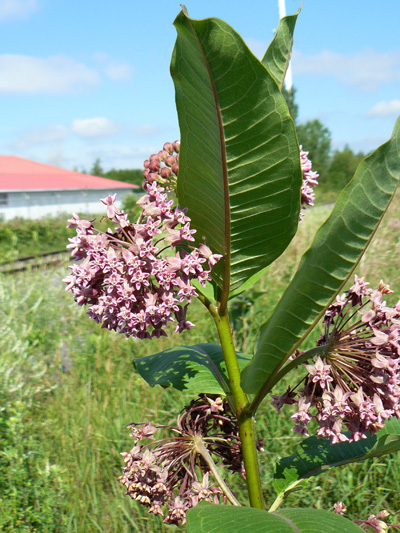 The Common milkweed has many use for humans. The interaction between the Monarch butterfly and the plant is fascinating.